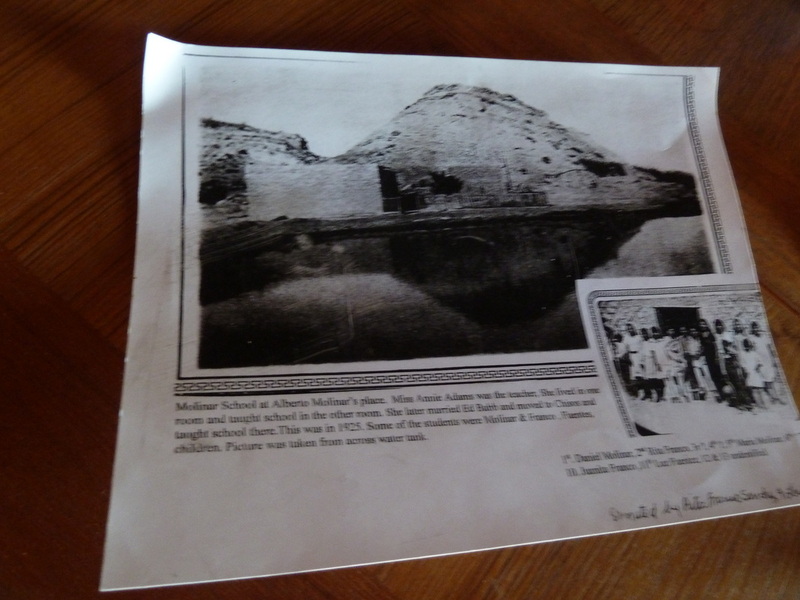 The Starlight Theater in Terlingua Ghost Town was the perfect setting for the birth of the first Terlingua Community Christmas CD. 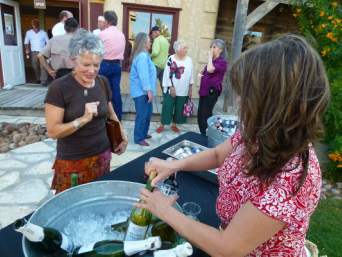 Friday evening festivities were opened by the Terlingua Community Choir. The songs of the season lent a festive cheer to the assembled guests who came from far and near to celebrate the release of the CD. Many of the local singer/songwriters who donated their talents to raise money for our Community Garden performed live. Executive producers Jeff Haislip and Anna Oakley conceived of the CD, but it was the performers and Ted Arbogast at Studio Butte who brought it to life. Special thanks to the Starlight Theater for hosting us all! For lots more pictures, click here. 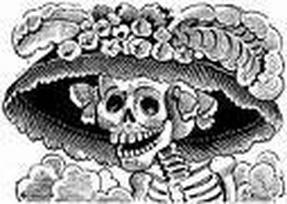 “El Día de los Muertos,” Day of the Dead, continues to be celebrated in the cemetery at Terlingua Ghost Town. 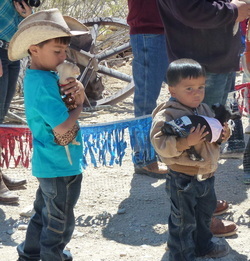 This year on Friday, Nov. 2, a calm and temperate scene greeted local residents and quite a few Chiliheads when they arrived to participate in this annual celebration. Click the picture for lots more pictures of this event. As the sun set low, a votive candle or two was set on each of the graves — some elaborate, but many bare — to honor those buried there. The tradition is that it’s a time to joyfully remember the lives of those we miss with favorite foods, drinks, songs and stories. 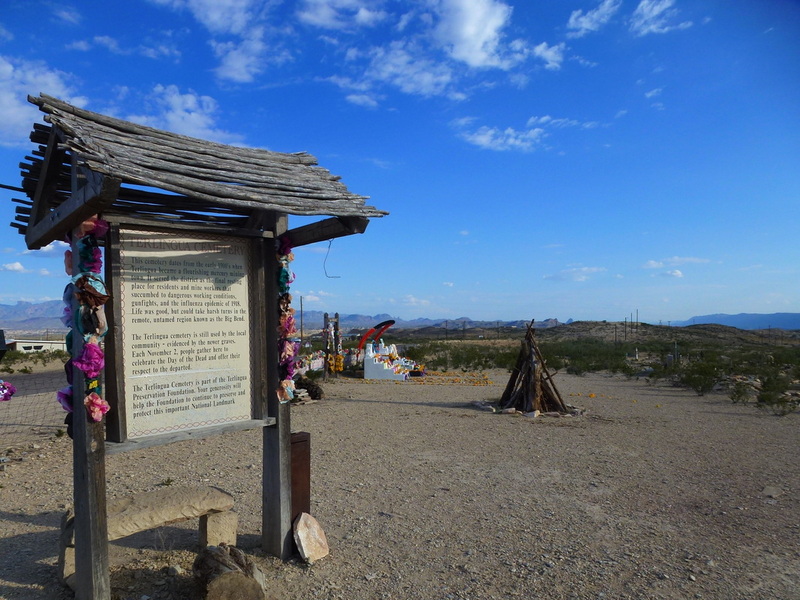 A community altar is rebuilt each year and mementos are placed to honor loved ones. 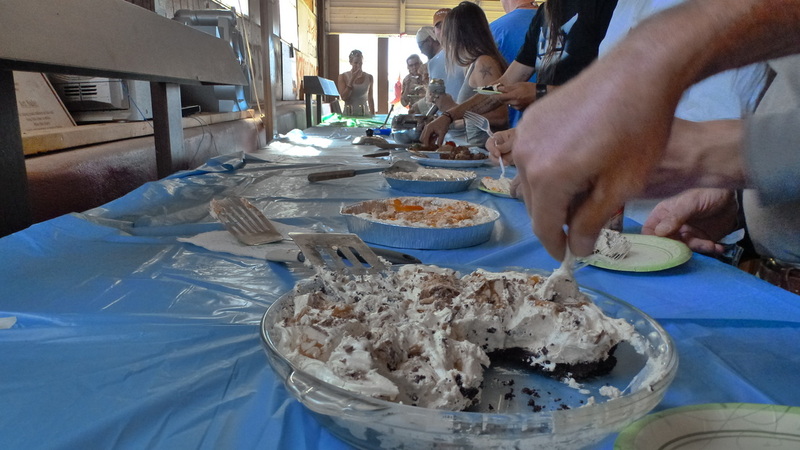 A community potluck was headlined with tamales and chili. And this year, with the burn ban lifted, a roaring bonfire lit the sky and friends stayed late into the night to reminisce. 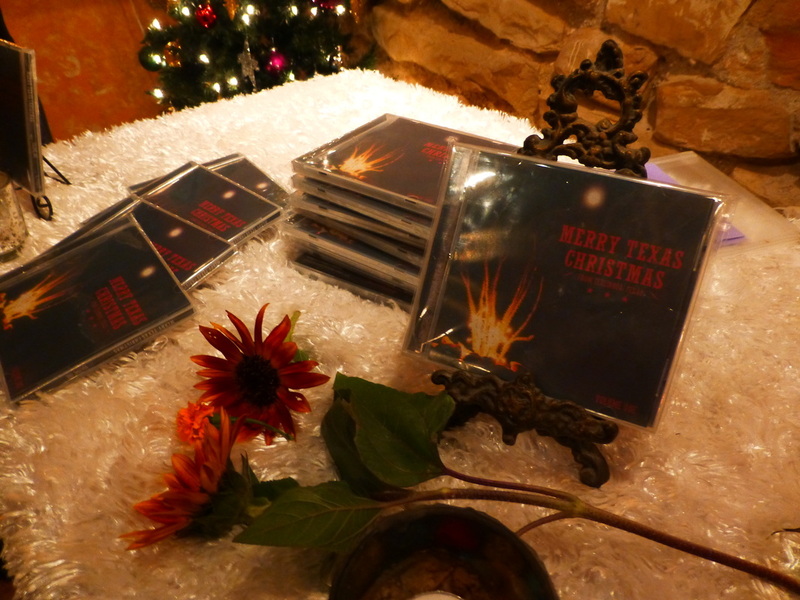 And, always in Terlingua, music! Click the picture for lots more images of the day. 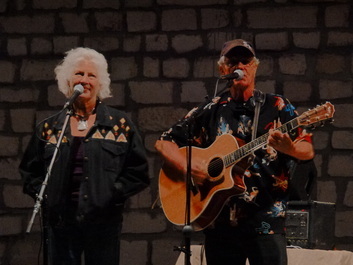 October 29, 2012 The second of the Lajitas Fall Concert Series took place last night under an almost full moon. On deck were even more than just the eight singer/songwriters that were promised. 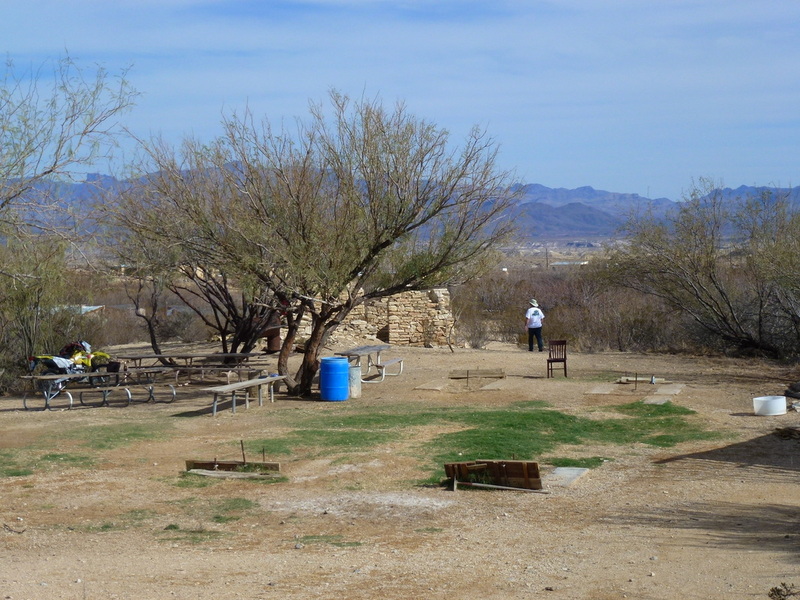 With the gorgeous stage of the Lajitas Amphitheater, the crowd was entertained by hugely talented performers with a connection to our Big Bend. Next up is another night of singer/songwriters, this time of the feminine variety. The Sangregado Gallery at the Lajitas Resort opened a showing of Crystal Allbright's work at a gala on Saturday, October 6th from 4 to 8 PM with wine, cheese and live music. Surprise guest was Blair Pittman, former National Geographic photographer and author. 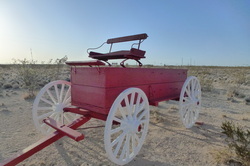 Her paintings, pastel drawings and photography will continue to be displayed through November 30, 2012. October 7, 2012 - We're Back! One of the BEST sources of news about the Big Bend is a website called the Alpine Daily Planet. 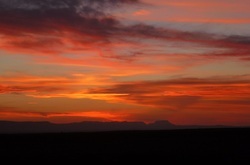 It's a volunteer effort by Mike Perry that brings almost daily updates on what's happening in our Big Bend. Most recently he published my article about The Cookie ChillOff. 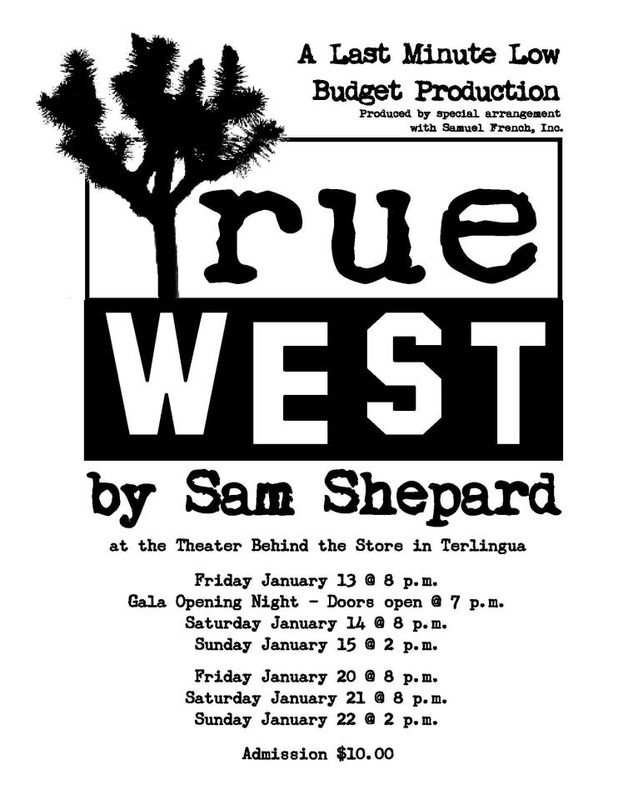 And in the evening we found belly dancers, a fire dancer, musical entertainment, an art auction and film festival at the Starlight Theater in Terlingua Ghost Town. 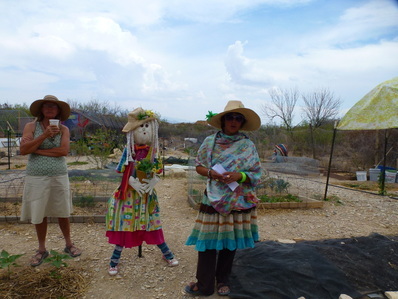 In celebration of our community garden and all things green, the first weekend in April Terlingua is the place to be. 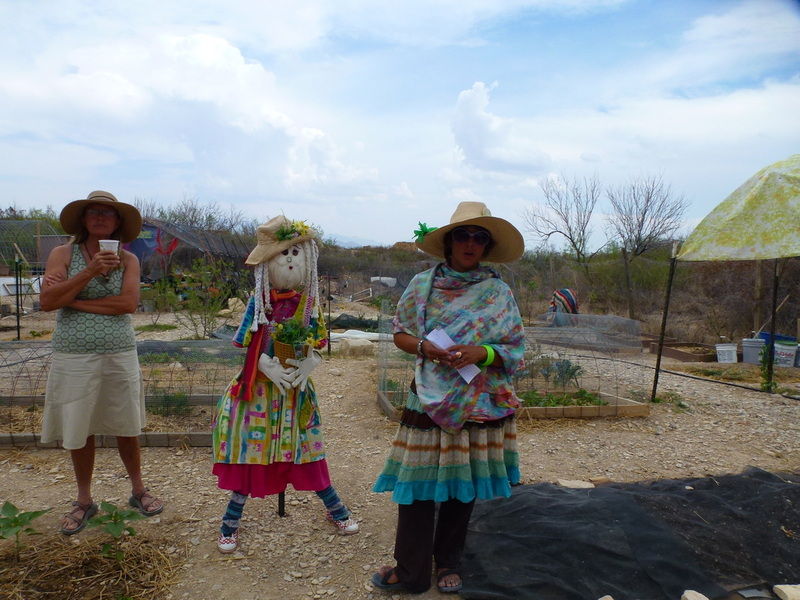 Wonderful seminars with new information about using solar power, cob building, water harvesting, and heritage seeds and more and lots of our local musicians join in the fun. There's vendors and food and even a parade. 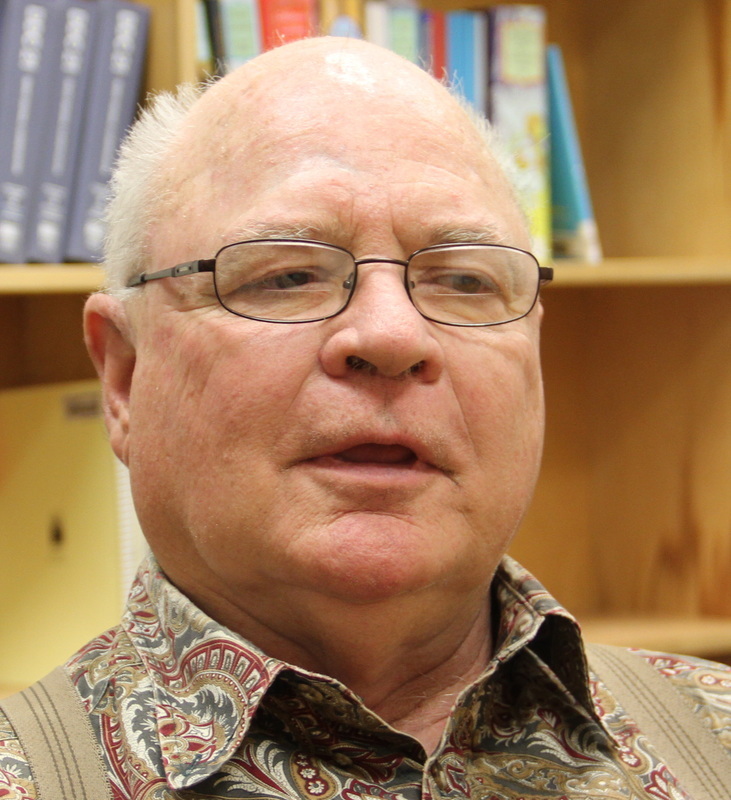 Carlton Leatherwood, a retired Houston journalist who lives in Big Bend, has begun writing a weekly column about people of the Big Bend for the Daily Planet. His first column features Ring Huggins rock Merchant. 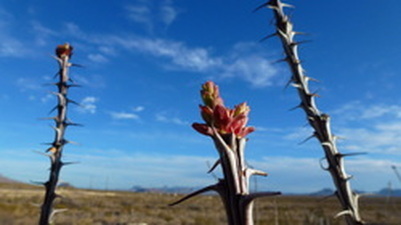 Though it's been extra dry here we've had a shower or two and the wildflowers and cactus buds are appearing. Come along with me as I do my nightly sunset stroll . . . 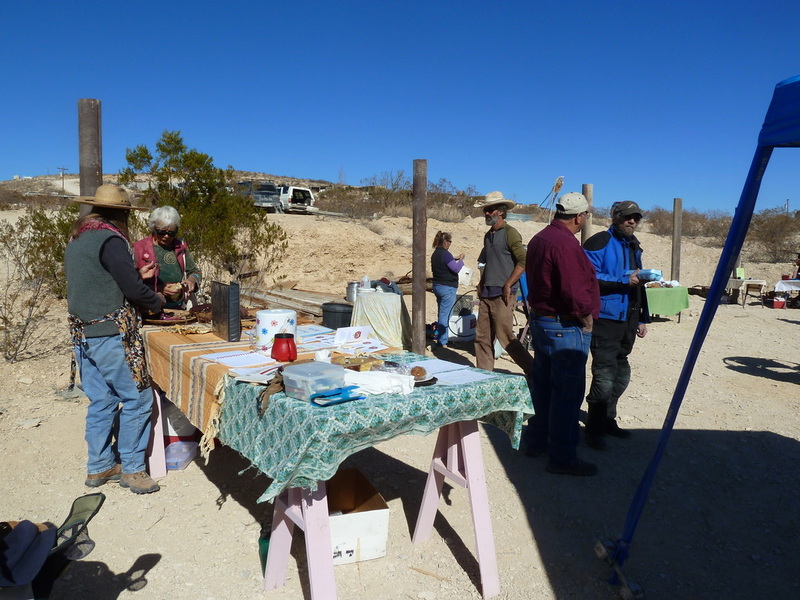 The Terlingua Home Tour happens every year the last weekend in January. Locals volunteer their unique homes for guests to tour and our own Last Minute Low Budget Productions benefits. That support is especially crucial this year as the local arts group is hoping to build a new home, the Mercury Theater on the site of the old EMS location. To top it all off there's a wine and cheese reception at Posada Milagro. This year, Steve Harper and Judy Brinkerhoff, Carmen and Thomas Drinkard, Ruth Ann Cisneros and Bill Ivey, Marcy and Reagan Reed, and Sandy Smith opened their properties to 103 guests!. 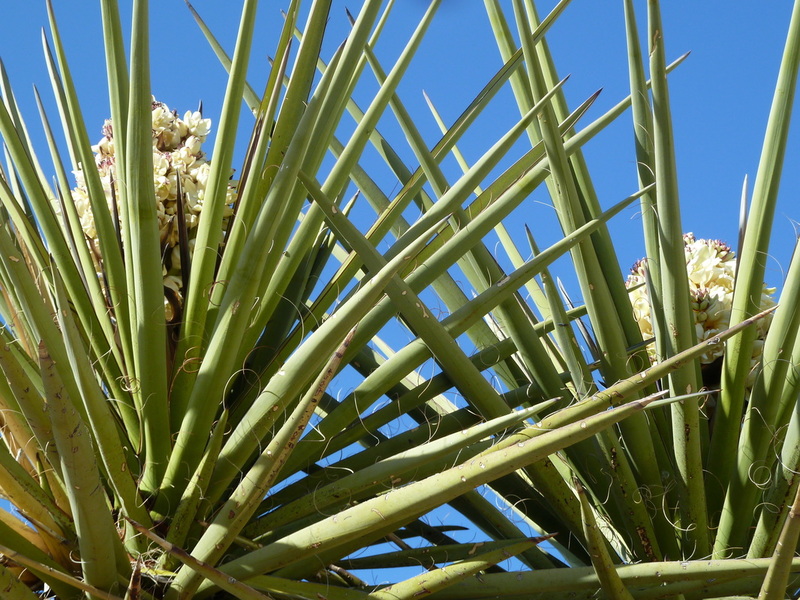 The January weather in South Brewster County has been so amazingly warm that it's even fooled the Yucca into thinking it is SPRING! 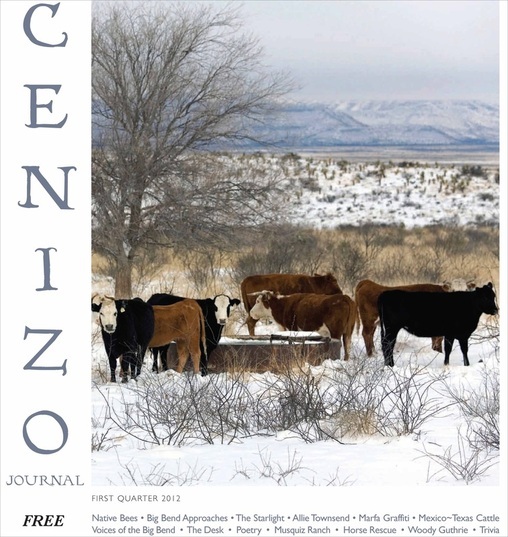 Many locals and visitors to our region are quick to snap up the Cenizo Journal when it arrives at multiple locations around Big Bend. The free journal is supported by many local businesses and is eagerly read cover to cover. One of the nicest features lately is its availability on the web. Just click on the link and you'll be transported to some of the best writing, poetry, photography and just all around great reporting we're finding here. I especially loved the story about the Starlight! Enjoy! 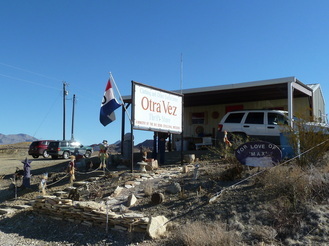 Saturdays in Terlingua are busy with Otra Vez, the Farmer's Market, and a flea market at the no longer open KKKK site, in addition to all the usual businesses. Otra Vez, a ministry of the Big Bend Episcopal Mission, is a resale store where great bargains are always found. Our Farmer's Market near the Cemetery vies for variety with big cities, but has a much more homey feel. The Flea Market always has surprises. And our January weather continue to be great with cool mornings and warm afternoons ! Go to the Last Minute Low Budget Production Facebook page. Terlinguans will dress in their finest.